Come along for a fun day of competition chess, whether you’re an established player or a novice, this is the tournament for you. A focus on Fun and Improvement. Come and learn new skills, meet new friends and gain a chess rating, or improve the one you have. Attractive high-quality trophies awarded in appropriate age divisions, and other categories. Certificates are awarded to each player, based on points scored and ranging from participation to high distinction. Please arrive from 12.30pm to 12.45pm so we can register names and start the tournament at 1.00pm, finishing at 5.00pm. Coffee, tea, cold drinks and snacks available on the day. To qualify for the R. J. Shield finals in Melbourne you need to accumulate 15 points over five tournaments. Last year we had 25 qualifiers, who had a great time competing at the finals, learning more skills and tactics while meeting other chess minded children. How many players will reach the magic 15 points this year? 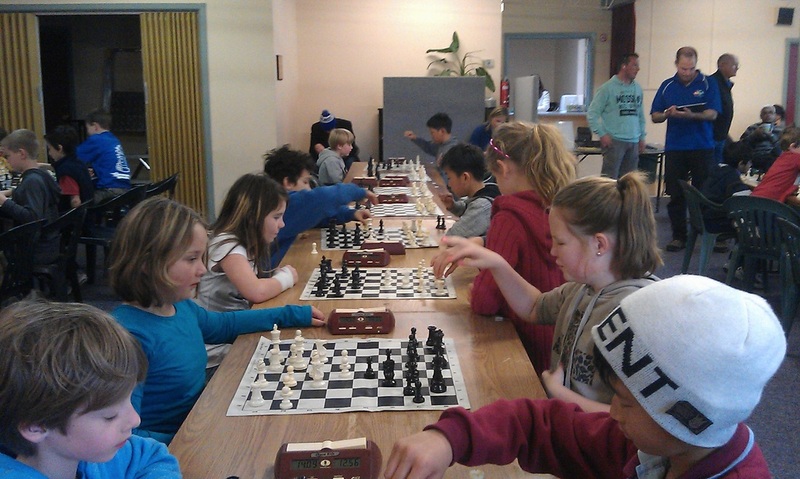 Building Mental Muscles at R.J. Shield chess tournaments. 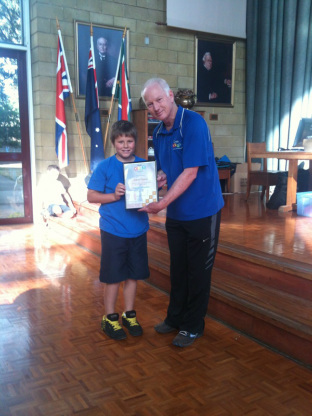 Robert Jamieson presenting Sam Trewin, from Yarrawonga, with his Junior Master certificate, at the R.J. Shield Finals, Melbourne November 2012. Sam also came 1st in under 11's.